Gift giving is tough for most people, but if your receiver has a hobby, present-giving time gets a whole lot easier. Case in point, let’s consider baking. What an extensive (and expensive) hobby that can be! From traditional cakes, muffins, and cupcakes, to homemade bread and pasta making, to the seasonal baking fun that includes Christmas goodies, it really is an all-encompassing hobby. Do you know any baker, no matter how long they’ve been whipped up delicious goodies, that believes they have enough tools for their trade? Isn’t there always some new must-have gizmo? Truth be told there are always innovative gadgets and tools coming onto the market, new things to try, and unique items available. This is why it is such a joy to give a gift to a baker and why gift giving time becomes so easy for us! In fact, we’ve decided that giving gifts to the bakers in our lives might just be our favorite thing. Even for new beginner bakers! Of course, not to mention the fact that the best way an eager baker may want to say thank you for their perfect gift may be by trying out the new item and making you the freshly baked result! Well, we can only hope! To help you get through the myriad of baking accessories available online, we’ve done a roundup of some of our favorite products that we think will be perfect for the baker in your life. So what makes for a perfect baking gift? 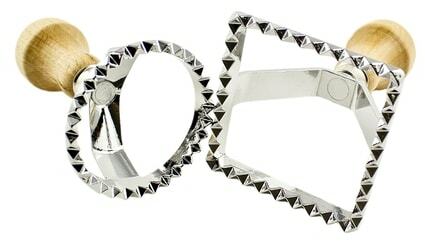 First of all, a good great baking gift is something that the baker in your life doesn’t already have, perhaps an innovative tool (or a hard to come by special ingredient). Second of all, the best presents do not need to be expensive, but it is probably going to be a product that is either out of the price range of the recipient, or at least, not something they have already budgeted for in the near future (so the gift will make for a wonderful surprise). 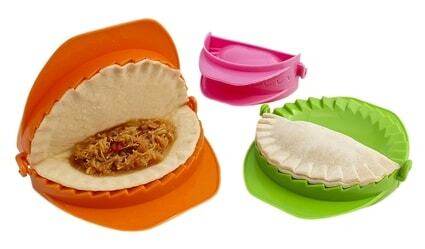 Also, a well-thought out gift could be a tool that makes their baking better, simpler, easier, or tastier. 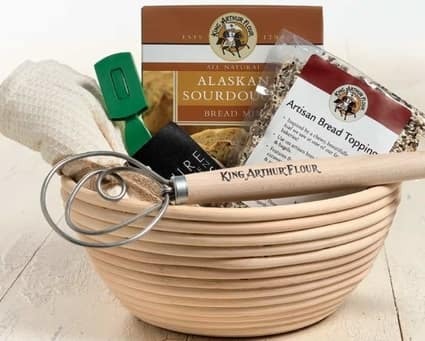 To wrap up, a great baking gift should be something that the recipient doesn’t already have, is innovative, hard to find, not budgeted for, an item that will makes their baking standout, and/or a product that will make for easier baking. Whew, that is quite a checklist! No worries, we just happen to have stumbled upon 17 gadgets and innovations that tick all those boxes and will make fantastic gifts for your favorite baker. One of the best ways to choose a great gift, especially for someone you know well, is to start by looking at something that complements their existing kitchen color scheme, incorporates their favorite shade of that color, or one that somehow reflects their unique personality. 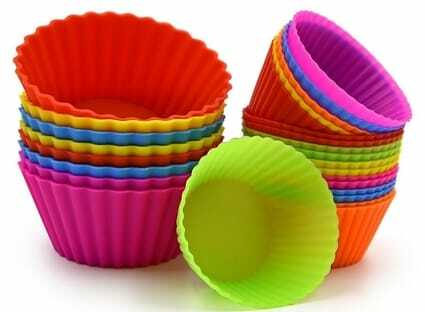 For example, a cook or baker who loves pops of color (think a vibrant happy personality) will love these multicolored Ankway reusable and nonstick silicone baking liners (a pack of 26). 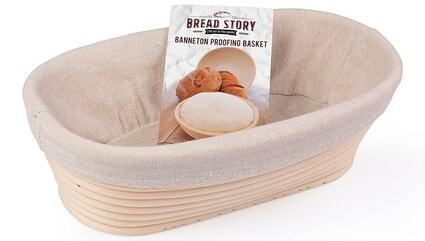 This is an essential item for a baker that takes the “ho-hum” out of the ordinary! Seriously, don’t they just put a smile on your own face by just looking at them; imagine eating a cupcake in one (or is that just us)? We get carried away when it comes to cupcakes! 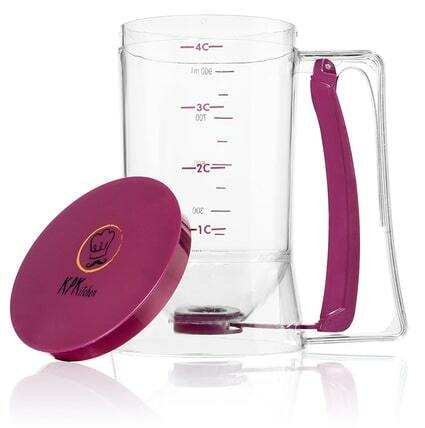 Another pretty item (that also fulfills its role as a gift that makes baking simpler and easier) is this purple KP Kitchen pan cake batter dispenser. This is a great gadget for making cupcakes, waffles, muffins, crepes, cake or any other baked goods that is made from a batter that needs to be poured. It’s not likely that the recipient of your gift already owns one or even realizes that such a product exists (we didn’t) but this is one item that will help your baker make less mess; because nobody has time to clean dried up pancake batter off of a hot stove top. And less wasted batter means more muffins for us! 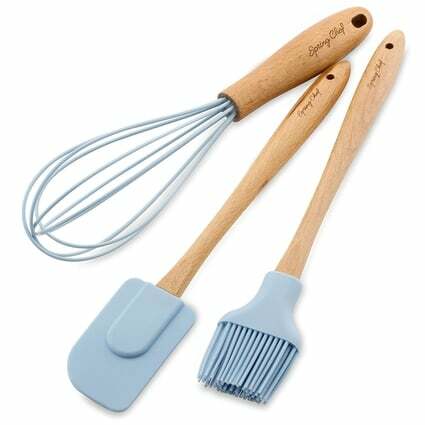 For a cook with a more subtle and subdued decor (think Joanna Gaines’ whitewashed farmhouse chic style) take a look at this understatedpowder blue Spring Chef spatula, pastry brush & whisk set. 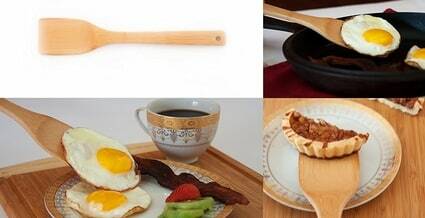 It’s created made from silicone and features Beech wood handles that are not only helpful for creating baked masterpieces they are also perfect for ever day use. The silicone means they won’t scratch or damage pots and pans either. For a truly thoughtful gift put together a gift basket. 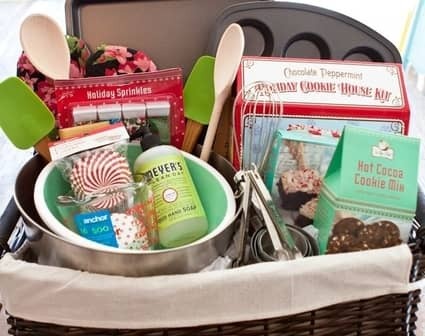 The ultimate baking gift basket really depends on how experienced your baker is (as well as how well stocked their kitchen is). The fun part of putting together a beautiful basket is that you can truly surprise your friend with many little presents all at once, all built around one central theme; their favorite hobby! This doesn’t need to be an expensive endeavor at all; many useful gifts just happen to be wallet-friendly. Though just because of the sheer perceived extravagance of a gift basket, this one may be best saved for an extra-special spoil (like a birthday). 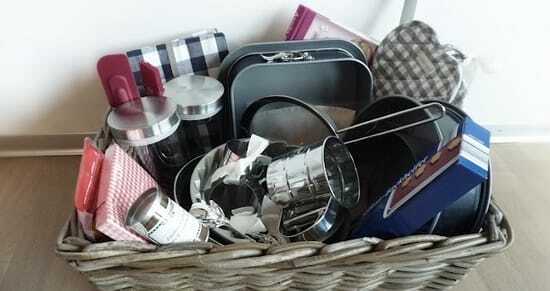 Create a gift basket by selecting several smaller gifts; perhaps based on a theme (such as tools for cake making and decorating, cookie-related goodies, materials for bread making or items for pasta making) or that are all in a particular color. Of course, what you decide to include will have a lot to do with the experience level of the baker as well as what they already own. 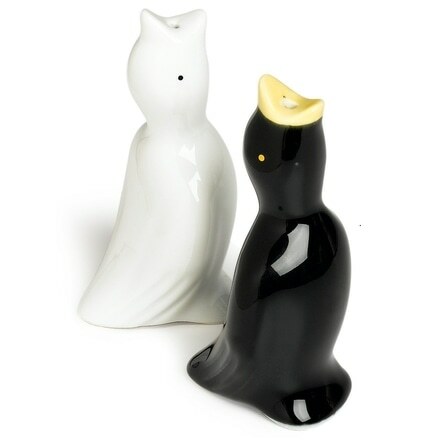 This is a two pie birds set (One Black and One White, Each of this height 3-4/5 inches by 1-4/5 inches wide). It is also safe for the oven and dishwasher. Bread Story oval proofing basket set (handmade unbleached natural cane bread baking kit with cloth liner, bread baking ebook on baking sourdough bread). 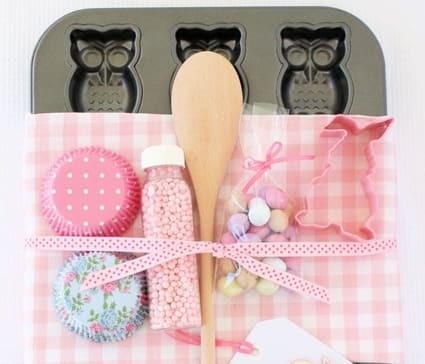 Don’t think solely about the adults in your life either; baking gifts make an exciting surprise for children as well! 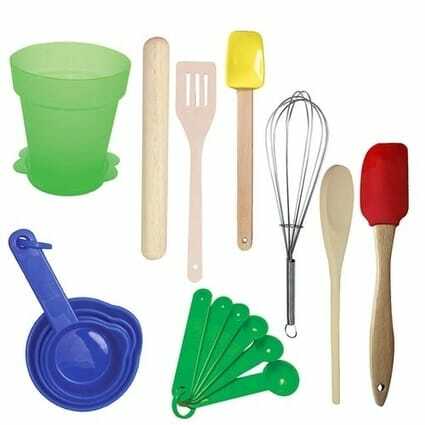 Grab this colorful Sassafras little cook children’s kitchen tools in herb pot gift set, (includes a small whisk, wood spoon, rolling pin, wooden turner, large silicone spatula, small silicone spatula, measuring cups and spoons and are sized to fit small hands) which is likely to get squeals of glee from the recipient! 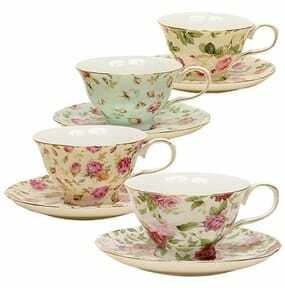 Considering an exquisite and stylish (not to mention useful) gift for a bridal shower? 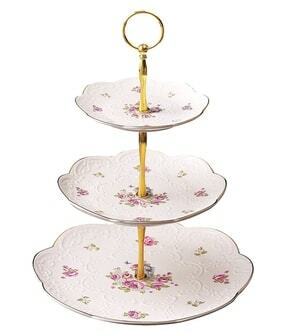 This 3-tier Jusalpha elegant embossed porcelain cake stand (with gift box) is a perfect way to say ‘congratulations’. 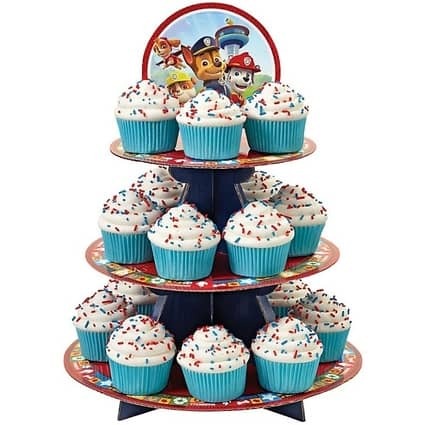 This cake stand can be used at all types of events and parties such as tea party, baby showers, graduations, weddings, Christmas, Thanksgiving, and even be used as a home décor piece. Which just so happens to go beautifully with Gracie China rose chintz porcelain tea cup and saucer set, because, honestly, we don’t see the point of baking cake and cupcakes without serving tea to enjoy them with. Four cups and saucers are in the set (a gift box is included for a little extra fee) and each one is created in a different rose pattern; this set would also make for a terrific wedding present as well, just by the way. 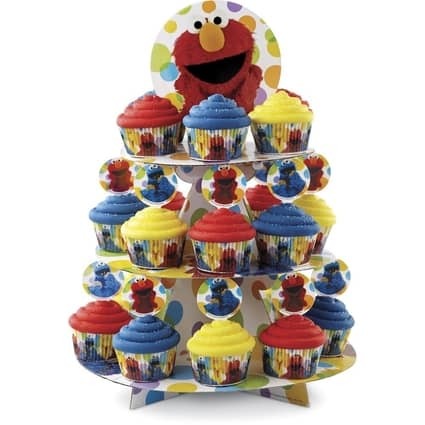 Honestly, most baking seems to be done by moms for their kids so if you have a mother with young children in mind, take a look at this multicolor Sesame Street cupcake tower (this is a disposable stand but who can resist Elmo’s happy red face shining down on them) or a Paw Patrol cupcake treat stand (this is made from cardboard but is durable)! 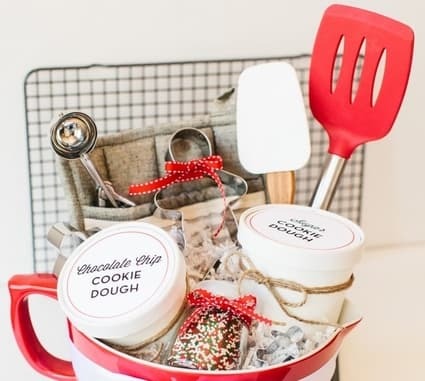 Baking gifts might not be the most obvious choice for your male friends, but guaranteed you have at least a couple who love to whip up a creation or two in the kitchen! Here are a few ideas for the males! This Greener Chef bamboo cutting board (think Father’s Day, housewarming, or even as a wedding gift set) comes with wooden spoon, salad tongs and a wooded spatula. Not down with the earth tones? 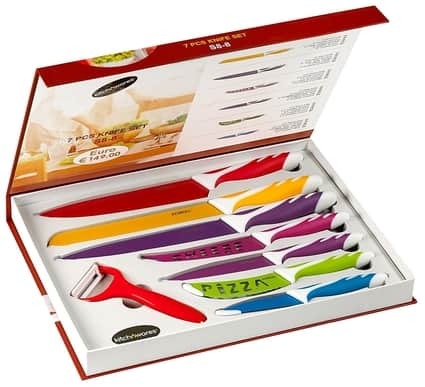 Go for a multicolored, color-coded set (never confuse the veggie and meat knife again) with this versatile Kitch N’ Wares elite 8 piece kitchen knife gift set which is perfect for all cutting requirements (breads, pizza, vegetables, etc.). Strong and resilient and comes with a lifetime guarantee. Have a pasta-making guy on your hands? 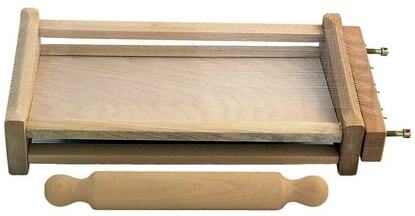 Try the natural wood Eppicotispai “Chitarra” pasta cutter with rolling pin. This authentic artisanal item (made in Italy) is believed to have been invented in Chieti, Abruzzo region of central Italy around the 1800s. “Chitarra” (means ‘guitar’) looks like a double-sided harp with strings set close on one side and farther away on the other. The center of the device is a slanted board which is designed to allow the cut pasta to slide off easily once it’s been cut by the strings. Simply use a rolling pin (included in the set), flattening and pressing the pasta dough through the wires. Christmas is an important time of year for all bakers, from amateur to the more experienced. 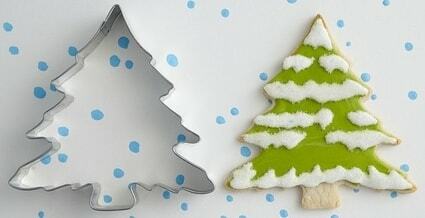 It’s at this time of years that special, once-a-year items get to see the light of day; such as cookie cutters shaped as trees, angels, or presents and of course gingerbread men get taken out of storage. This season may last only a month (or less) but it is likely the busiest baking season of the year. Ah, when the smells of cloves, nutmeg, and ginger fill the air! And perfect for gift giving! If you are looking to give a gift at the beginning to middle of December (or anytime after Thanksgiving, really) give extra consideration to Christmas-themed gifts. 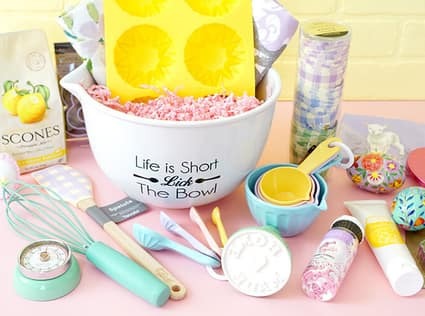 Unless you are gifting for an experience baker we are guessing that the baker in your life doesn’t know that they need these products in their kitchen. These SCI ceramic pie weights help to create the perfect pie, quiche, or tart crust by preventing soggy bottom crust, and averting the crust from over expanding (stopping all the bubbling up and unevenness). Yes, you can make an edible crust without them, but this one of those unique items that will make their baked goods that much better. Your friend will thank you for it (hopefully with a homemade apple pie). Even your most experienced baker will be up to this challenge! 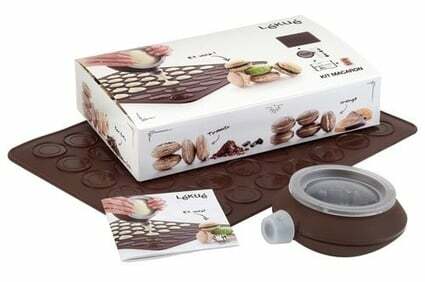 Give a gift that expands her repertoire with the Lekuemacaron kit with decomaxpen and baking sheet (helps to create perfect, little, sweet accompaniment for dessert, coffee or tea time). This includes a mat with marks and edges for guidelines. As you can see, there are so many options for the bakers in your life and we hope we made your choices a little easier. If you’re still in doubt, always consider a bread maker that will last the ages. These effortless (but not cheap) machines make an excellent gift! So now all you have to do is carefully consider the best gift for the baker in your life and give graciously; you may just receive one tasty thank you in return!